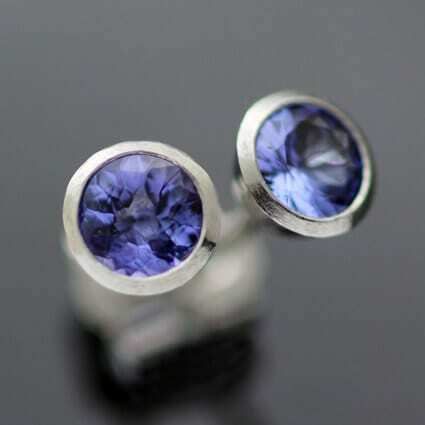 A truly unique and one-of-a-kind creation by Julian Stephens Goldsmith crafted using precious materials to create a fresh, modern and unique pair of special earrings. 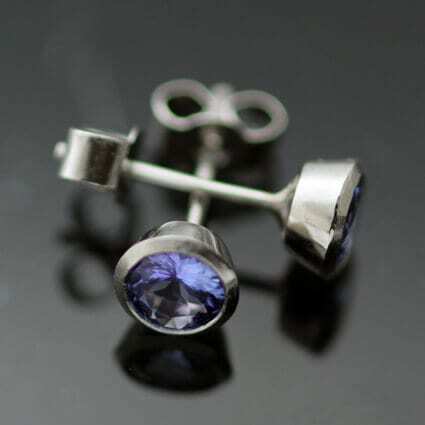 A gorgeous pair of Round Brilliant cut Tanzanite gemstones are used as a lovely centrepiece for these contemporary stud earrings, set in solid Platinum to create this opulent design. 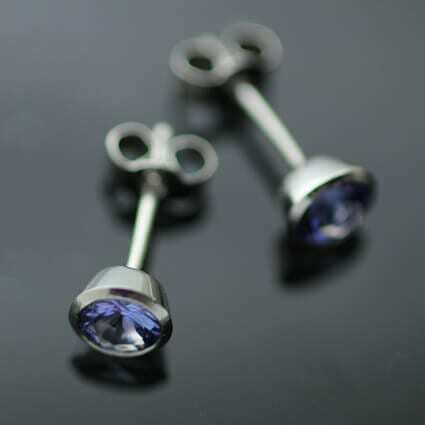 The stunning earrings are finished with a high-shine polished surface to enhance the sparkles of the Platinum.